Paris - Spanish tennis star Rafael Nadal won a defamation case against former French health and sports minister Roselyne Bachelot on Thursday after she accused him of doping on television. Bachelot was handed a €500 fine by a court in Paris and ordered to pay €12 000 in damages and legal fees to the serial Grand Slam winner over the allegation she made to the D8 channel in March 2016. Nadal expressed his "utmost respect and confidence in the French legal system" after the ruling. "When I decided to go to court it was not only to defend my own reputation as a sportsman but also to defend the values I have always held throughout my career," Nadal said in a statement. "The motive as I said at the time was never about money," he added. 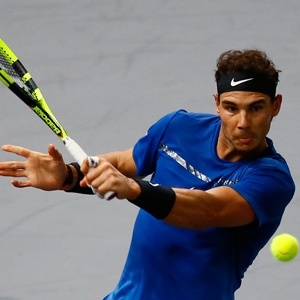 Bachelot, the ex-minister from 2007-2010, alleged that Nadal had faked an injury in 2012, when he missed the final six months of the season due to knee problems, in order to hide a positive drug test. He had sought €100 000 in damages and explained last year that he had decided to take legal action to set an example, having previously ignored allegations against him. His lawyer, Patrick Maisonneuve, told the court in October that the doping accusation could have had "major consequences" for Nadal concerning his "existing or future sponsors".